Get notified when Electric Forest tickets are available! 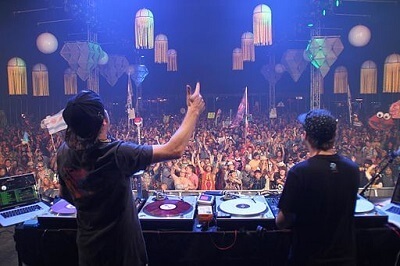 Electric Forest Festival is a music festival that brings together jam bands and electronic recording artists every year. The event takes place over 4 days and is typically attended by more than 40,000 people each year. Originally, the event was known as the Rothbury Festival when it debuted back in 2007, and it has been called its current name since the 2011 festival. Normally, the Electric Forest Festival takes place at the Double JJ Resort, which is found in Rothbury, Michigan in either late June or early July. To attend the festival this year, use the link above to buy Electric Forest tickets online.